Have you ever stubbed your toe just because you were rushing and not really paying attention? We all have, and there’s no pain quite like it. Except, perhaps, for the one you after suddenly finding you have a watery mess in your basement, or the complete absence of hot water. For fast and effective relief from the pain of plumbing problems, all it takes is one…call, that is, to Arnold & Sons. Even if it’s in the middle of the night. You see, we realize that not every plumbing problem can wait until the light of day. So we keep our phones handy and our trucks well-stocked so we’re ready to respond when and where we’re needed. Take right now, for example. 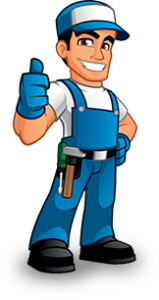 Is there something going on at home home that could use a helping hand from our professional plumbers? If so – big or small, simple or complex – give us a call and then sit back and watch as we meet or exceed your expectations. It’s what we’re trained to do, and we’ve trained long and hard for every such opportunity.